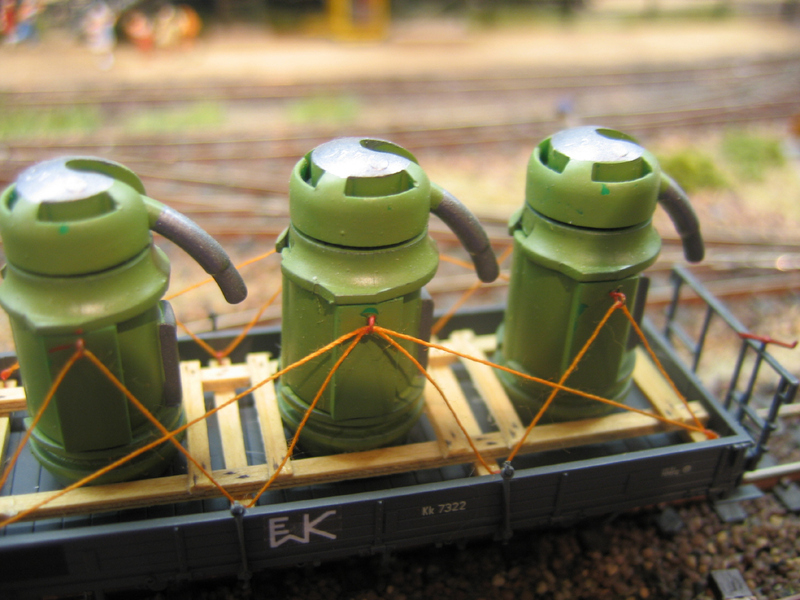 On this page you will find details on goods traffic, about modelling the appropriate waggons and goods. The conveying of goods on a model railway is indispensable, when working with a real timetable and traffic plan. 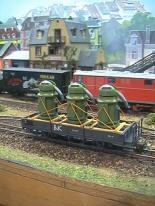 This is frequently done at meetings of modular modellers, such as organized on the continent by FREMO or EMFS. Machinery for industrial plants is frequently conveyed in skids or loading riggs. 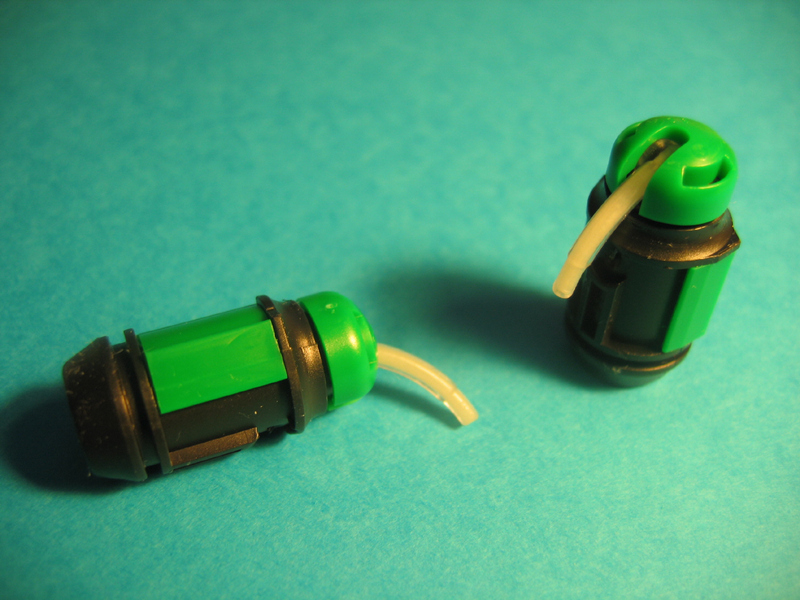 These are used to fix and protect the often delicate pieces of engineering. 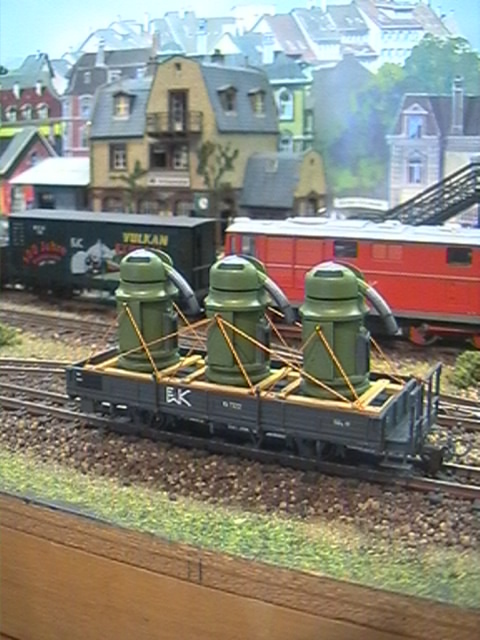 The model skid should be easily removable from the wagon. So after delivery of the goods the empty wagon can be returned or loaded with other goods. There's no limit to phantasy! Who keeps his eyes open in a land of recycling materials, packing items and small parts of disused houshold machinery, will always find numerous items, that can easily be worked upon to represent the most interesting goods. In this case I used capsules for dental filling material (3M ESPE). After mixing the material in the capsule, it is pushed out through the little tube with the help of a special applicator. This fine and complicated capsule normally is condemned to the bin after single use. For changing it to this interesting fermentation vessel you only need some enamel or acrylic paint. Little ears from 0,5mm brass wire for the lashing straps (sewing thread) are fixed into little bores. The skid is constructed from fine wooden strips, wires and sewing thread. Lashing straps can also be made from fine self adhesive graphic bands (Letraset or similar).